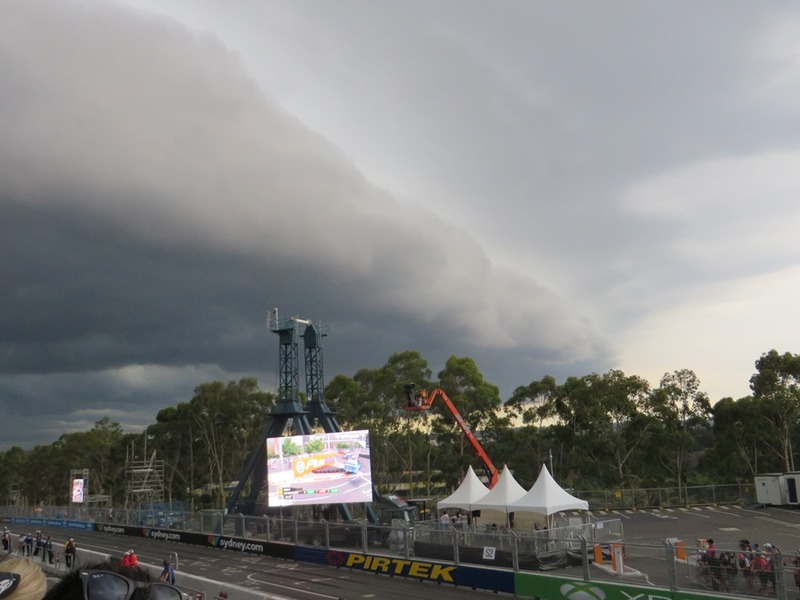 I was at the V8 Supercars the day a terrible storm blew in. It was the worst some of the chaps had ever seen on a racetrack. Luckily all was well above the pits in the private boxes. 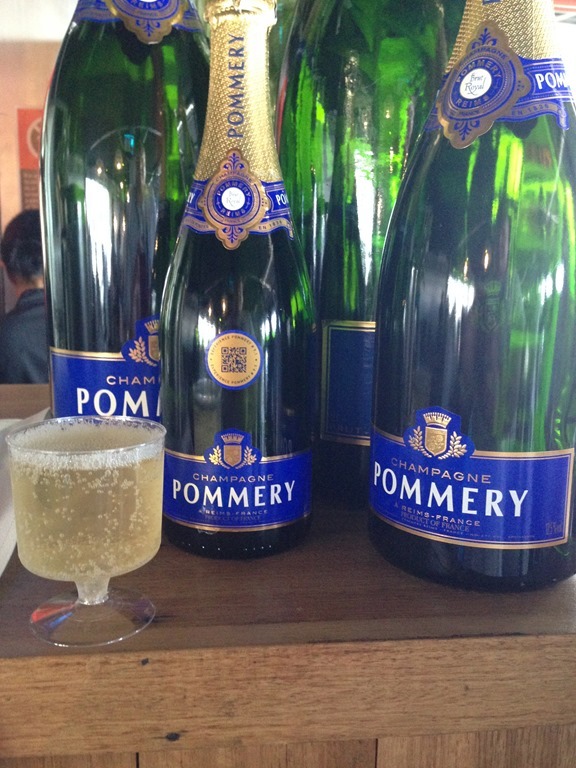 As I sipped on my second-ish glass of Pommery’s, and sampled my third-ish canapé, I asked the head finance bloke at Volvo Car Australia if they had a spare P1800 lying about the place. You know the car, right? It’s the one a dashing Roger Moore drove in The Saint. I’m talking of course about the real 1960’s series, not that god-awful monstrosity from the nineties. 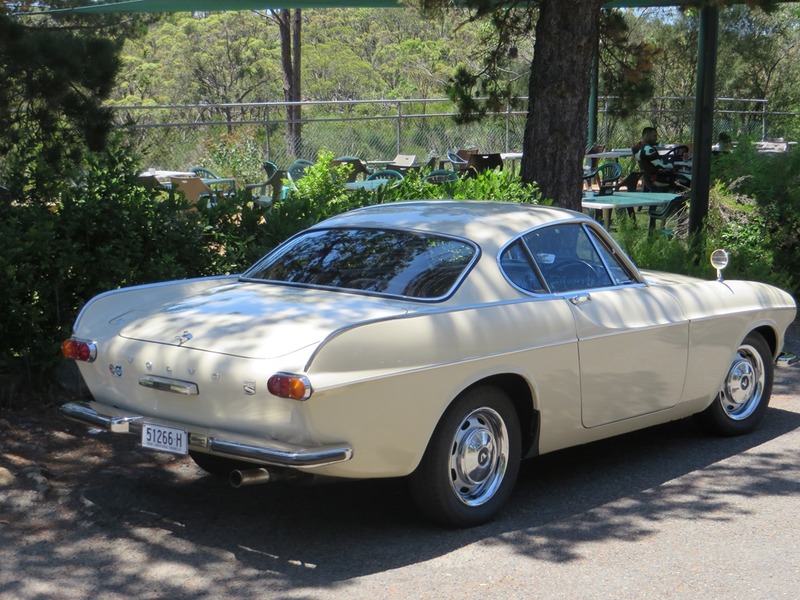 Simon Templar raced from one damsel to another as a quintessential British gent often does. Roger Moore loved the Volvo so much, he bought one. This was a matter of luck for Volvo. Roger Moore was meant to be driving an E Type Jag but the British car maker either declined, or was unable to deliver, depending on who you talk to. 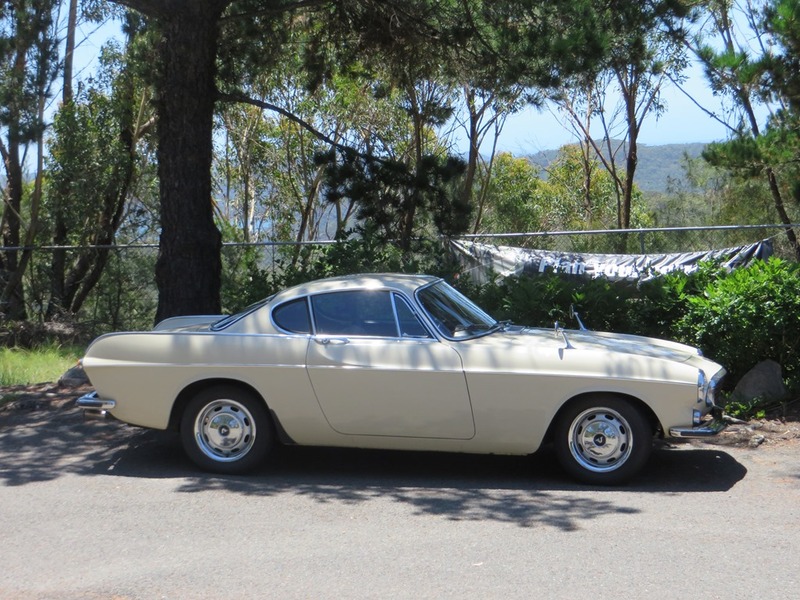 When released, the P1800 was only $1800 less than an Jaguar’s E Type, and nearly double the Statesman from Holden. It was a big deal. There was an estate version with a one piece glass tailgate but it was outsold 4 to one by the coupe, but I love them both. My request wasn’t as out-there as you might think. Lots of car companies have tasty secrets hidden away in their bowels. Sadly Volvo doesn’t. 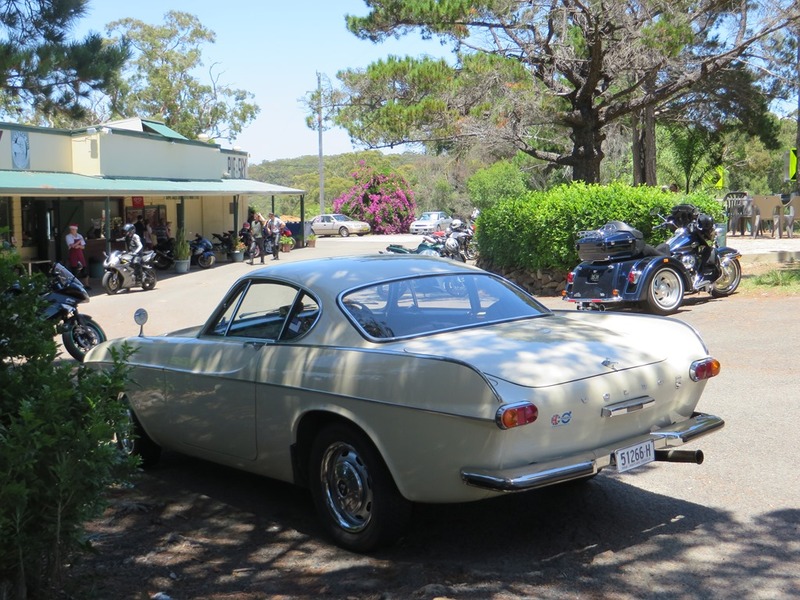 Helpfully my man suggested a call on the electric telephone to the NSW Volvo car club. I found their details, but only an email contact could be had. They had just the man for me, member number 1, Gerry Lister. What an interesting bloke. 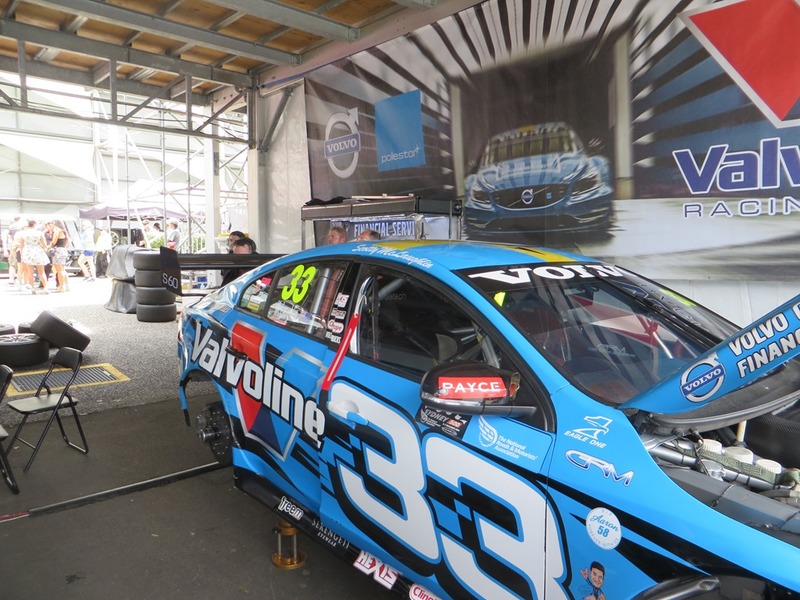 Gerry has raced and rallied Volvos and had been involved with the marque since Volvo first came here. I knocked on the front door, and was greeted by the personable member number 1. We strolled back across the lawn towards the Volvo. I remember thinking, “I hope my paint looks that good after 50 years”. Who am I kidding, that boat sailed long ago. After a brief briefing, we jumped in and fired her up. It took a few goes, but she sparked into life just as she had done for last 50 years. That gorgeous engine note seemed to go perfectly with the mid-century-modern looks. We headed up the highway, and to do the old girl justice, we used the old road not the new one. We cruised along the 110kph section as effortlessly as any other vehicle on it. The gears and steering took a little getting used to but I expected that. I was also mindful that I was driving someone else’s irreplaceable treasure so was being extra vigilant. 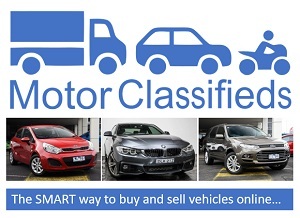 Haven’t you ever noticed some drivers seem to aim for you when they sense trepidation? I any event, it gave me time to give the cabin a once over. It felt solid, really solid. What looked like metal was actual metal. 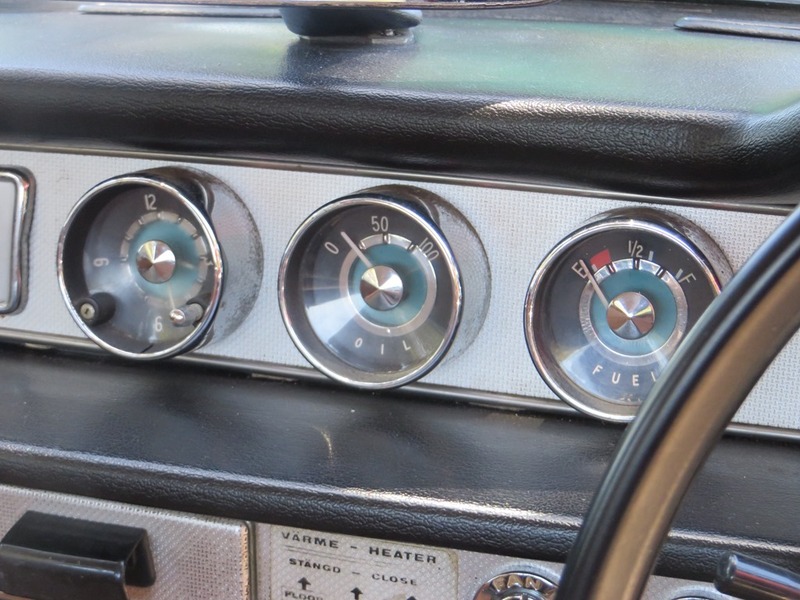 The dials had chrome surrounds and none of the interior had the flimsy, fluffy feel of modern cars. I struggle to think of a single car sold new today that will still be running like this in 50 years. Their plastic will be as wilted and useless as a yesterdays salad, and the many active computer systems will be long since dead. Volvo still have new parts for this car, but, can you imagine getting an engine management computer for a 2015 Mercedes Benz in the year 2065? Nor can I, and without it the car is a useless shell. Remember, my co-driver is an expert one. He urged me to push the coupe to what I thought were well beyond its limits, but push he did. I rather got the impression Gerry thought my driving a trifle tame. Who would have thought a car designed in the era of the Beatles by a young bloke in Sweden would feel so at home in the tight twisty sandstone canyons of Australia? What’s even more amazing is the designer, Pelle Pettersen, was a student at the time. He is now known for yacht design as well as the Volvo P1800. I won’t lie, at times the P1800s was a bit of a handful. I’m used to driving new cars less than a month old, and rarely do I get the pleasure of shifting gears myself. This example, though not pristine, has been worked on by Gerry over many years as the owner’s finances permitted. Gerry had fitted electric power steering, and air conditioning although the latter struggles a bit on a very hot day. Like old men, classic cars can be a bit moody. They can be hard to get going, argumentative, and prone to throwing fits pique, but, we love them anyway. As each kilometre passed I fell a little more in love. It’s a slippery slope which I have been here before. First the glance, a mere yearn, then desire, and finally deep uncontrollable obsession. My days of owning classic cars are gone. You need much deeper pockets than mine. Don’t think advanced age means you can’t go where you want. A P1800s hold the world record for the number of miles driven. Irv Gordon of East Patchogue, New York, has travelled a staggering 3 million miles, that’s miles mind you. It makes you wonder when he had time to eat. Considering the model began life in 1961, the car still draws a crowd. We stopped for lunch at Pie in the Sky on the Old Pacific Hwy, a place popular with motor cyclists of all ages. It lies at the top of a sandstone escarpment from which the road threads downward in a succession of exciting twists and bend. We had to kill the air conditioning for the steeper climbs back up the range but by far the quirkiest quirk was the 5th gear. The overdrive (5th gear) is electric and doesn’t need the clutch. Instead, the stalk on the steering wheel is pulled forward, or up, or down. It felt a bit loose. It felt odd changing gears without pushing a clutch in. Our model had 86kw when it left the factory so we can expect a few of those to have escaped over the years. None the less, she felt capable and willing. One might even say eager. As the afternoon matured, the time came to return to Sydney, and I felt sad. Peak hour traffic had started to build and I was all too aware that even the slightest touch-up to a 50 year old car could mean disaster. We had spent the day chatting like a couple of old schoolgirls. This beautiful car could easily be used today as a daily driver. The boot is spacious and the ES version even more so with its capacious “estate” rear end. One has to remember that you can’t get parts for old cars as easily as new ones. For those who keep the dreams of such beauties alive, that is a small risk to take. As we turned into the drive, the sad news came over the radio that a madman had taken hostages at Lindt’s city café. It was even sadder when next day two of the hostages died during a police incursion to end the siege. Katrina Dawson and Tori Johnson were remembered by those leaving hundreds of thousands of bouquets metres from the scene of the tragedy. It seems fitting to remember them here too and to pay respects to their bravery. What a sweet car! When I was a teenager I wanted a yellow Volvo, the model that looked like a giant Volkswagon Beetle. Don’t ask me why. In college I listed after my roommate’s new Karmann ghia convertible. 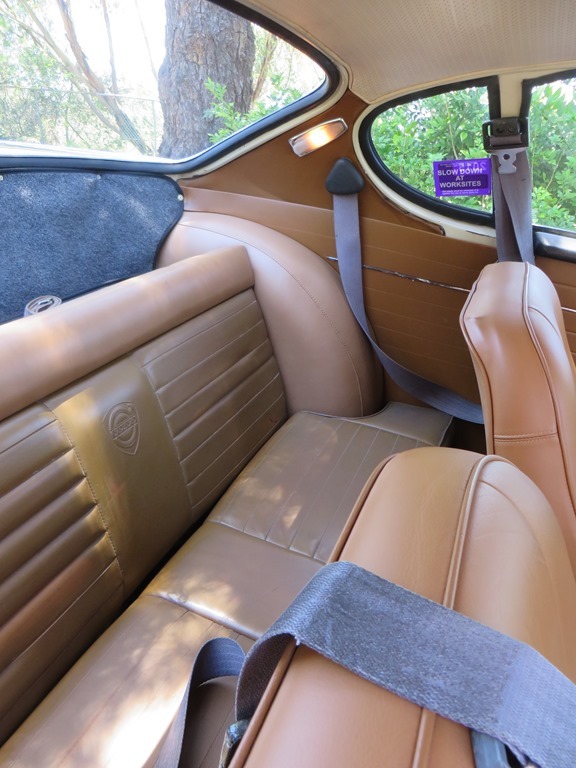 It was British racing green with tan leather seats. I still would love that little car, but I don’t think I could go back to a stick shift after all these years. Yes, that was probably it. I saw a yellow one once when I was a young teenager and lusted after it. I think Volvo completely changed their design a year or two after that. 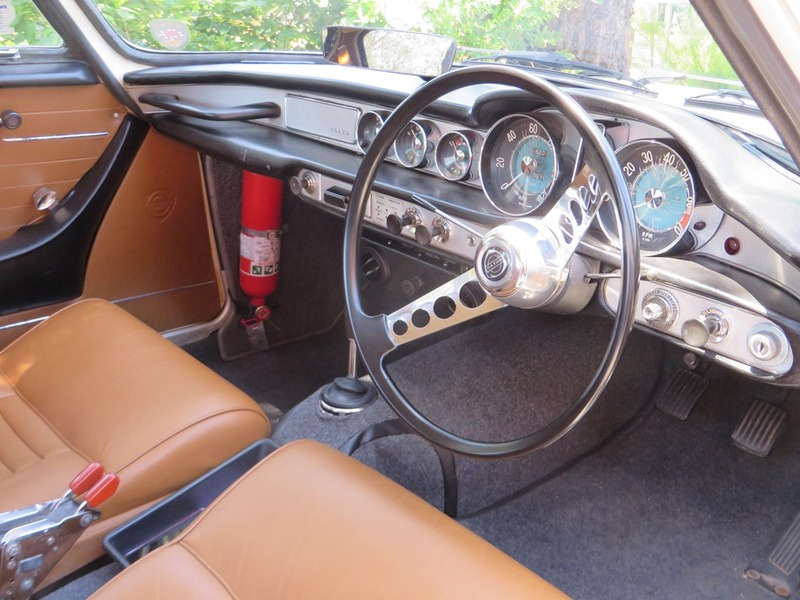 A lovely car from a time when so many manufacturers dropped little coupes into their line-up – Karmann Ghia, even Renault Caravelle – that had a certain flair. A friend had a P1800 as her daily car and I remember sitting so low, crunchign the gears and fighting humungously heavy steering but it was the perfect Kings Road cruiser. I’ll bet she did. That’s why the electric steering fitted to this car was amazing. I remember doing a story on a E-Type Jag once. That thing needed a power assisted clutch!!! !